Collecting your things is almost worse than the break up itself. It’s like the walk of shame, except without the morning after breath and your underwear turned inside out. Everything is in slow motion, more so because you don’t want it to end and embarrassingly, you can’t remember what you left when it began. Whose egg beater is this? My baseball cap? Do I wear a size 8 or 10 in underwear? Yet what can hurt most are the things that bring back the best of memories. That egg beater made her birthday breakfast. That baseball cap was from your first fishing trip together. They bought you that underwear and you both laughed because it was the wrong size. We don’t think about why we leave our stuff around because, it’s comfortable. We get comfortable. And we don’t ever think we will ever plan to pick our things back up again. It might be especially hard in gay relationships because out of a world where acceptance is scarce, we (thought) had found another person who was willing to fill a void, or even better, add to you wonderful self. We get closer and closer and wash our underwear in the same load of laundry. Want to get your stuff back and save face? Attempt to get all of your stuff at one time; gradual removal over days is just torture. Picking up items yourself doesn’t have to be the only option because sometimes the last time you were apart, should be the last time you are apart. Having another person be a liaison for you can be helpful, as long as the relationships amongst all parties are amicable, empathetic and non-confrontational. No need for additional drama and heartache. 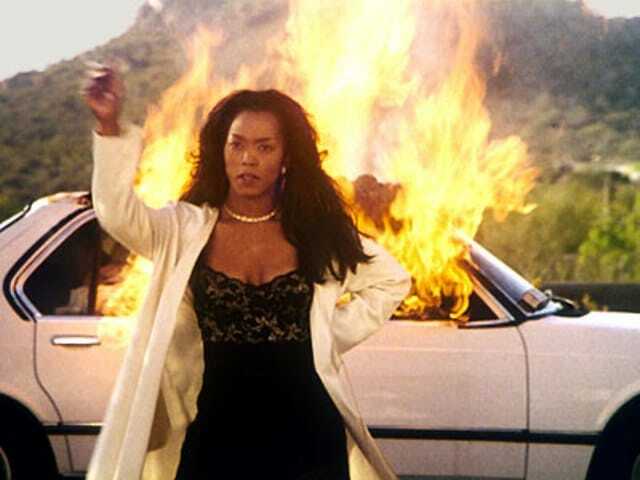 Burning items are an absolute no-no, this is not a re-creation of “Waiting to Exhale”. Give them away to someone who might appreciate them. Children can appreciate stuff animals no matter where they come from. Collect the items in a box and place them away for later. Now, this may not be the right time to put back old photos and place sweatshirts back in the drawer. Later may come a time, but later might also tell you to get rid of it. Or, just trash them, but whatever the decision, be gentle with yourself.